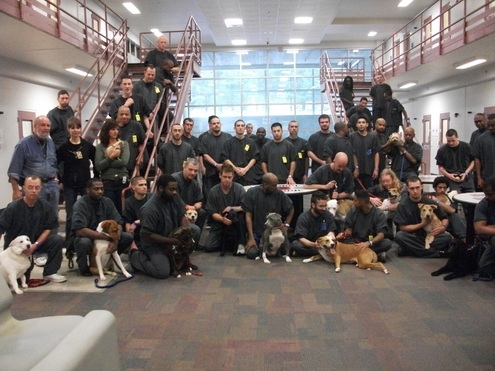 Operation Second Chance, or Jail Dogs, started in February 2010 as a partnership between the Gwinnett County Sheriff’s Department and The Society of Humane Friends of Georgia. Upon arrival at the unit, each dog is assigned a primary inmate handler, in whose room the dog sleeps – and either one or two secondary handlers. This not only gives more inmates access to dogs and ability to learn handling skills, but also provides continuity for the dog should one of its handlers leave the unit. Trainers visit with the dogs and inmates three times a week, teaching the inmates how to train and care for the dogs. All dogs in the program are vetted, trained, and adopted into new families. In addition to saving dogs, the program also benefits the inmates, giving them new skills in dog training and handling, as well as learning to care for something other than themselves. And the knowledge that they have made a positive difference in a dog’s life. The dogs profiled in the following video are, or will soon be available for adoption. For more information, please visit jaildogs.org. Great program. I hope that more jails will do this. Lucky dogs and lucky people who get to work with them. Me, too, Tracey! 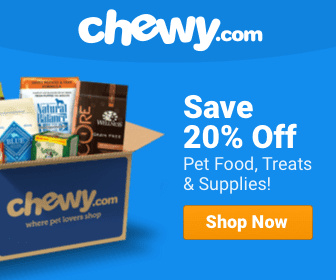 The benefits of programs like these are tremendous, to both the dogs AND the humans! Thanks guys, for taking good care of the dogs in which you have been entrusted. I know they are taking good care of you! Thank you for the article about the Gwinnett Jail Dogs program and for posting the latest Jail Dogs In 1C webisode. I am the filmmaker and appreciate all you do to help dogs.